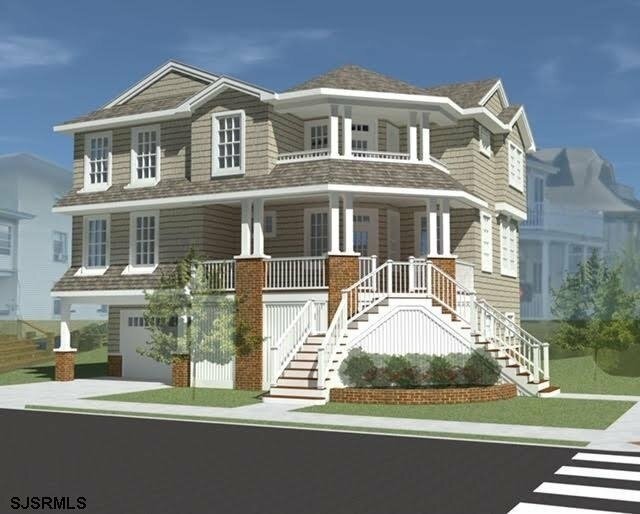 Corner new construction single-family home located in the heart of Ocean City is perfect as a shore retreat. Custom designed for the location, the classic facade hides a flexible, open floor plan with 4 bedrooms and 2.5 bathrooms. This handcrafted masterpiece is loaded with upgrades including a gourmet kitchen, upgraded appliances, granite counter tops, gas fireplace, deck off the master bedroom, outdoor shower, hardwood floors, tiled back-splash, upgraded cabinetry, ample off-street parking and much more! This home is designed with the perfect blend of American Craftsman and Cape Cod influences to create an amazing Seashore aesthetic. Perfect as a beach retreat or primary home. Developed with the highest quality/ low maintenance building materials, and excellent craftsmanship. Call for additional plans and specs. Photos are samples.